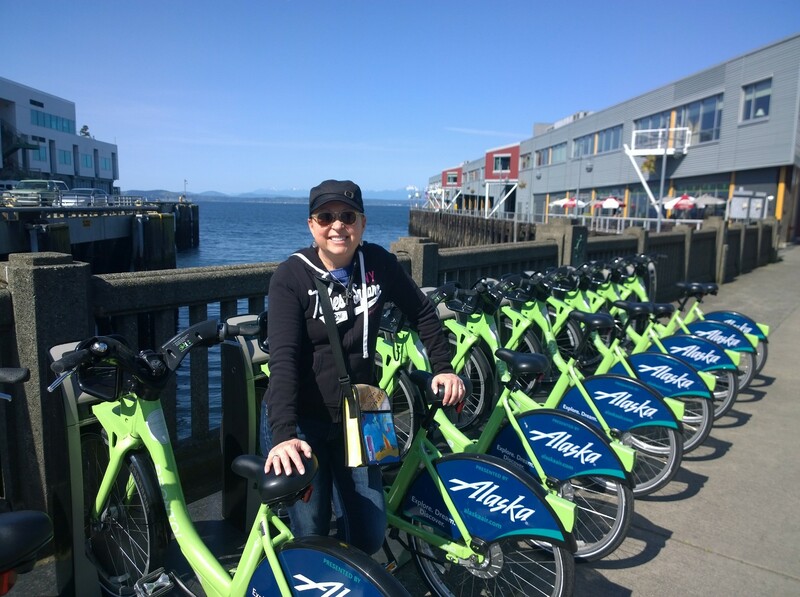 “Do you remember how to ride a bike?”, my silly husband asked me as we walked to rent bikes on the Seattle waterfront. Actually, I seem to remember flipping him off for that comment, but in a friendly, loving way of course. I affirmed that I did indeed remember and that I could handle it, thank you very much. Me, riding way too low and pumping too hard… raising that seat made all the difference. Renting bikes around Seattle is a fairly new thing that I have always wanted to try. So, on a sunny Saturday we finally did it! You just grab a plastic wrapped and hopefully somewhat clean helmet, pop it on, pay your $6 for the day and off you go. What a bargain! 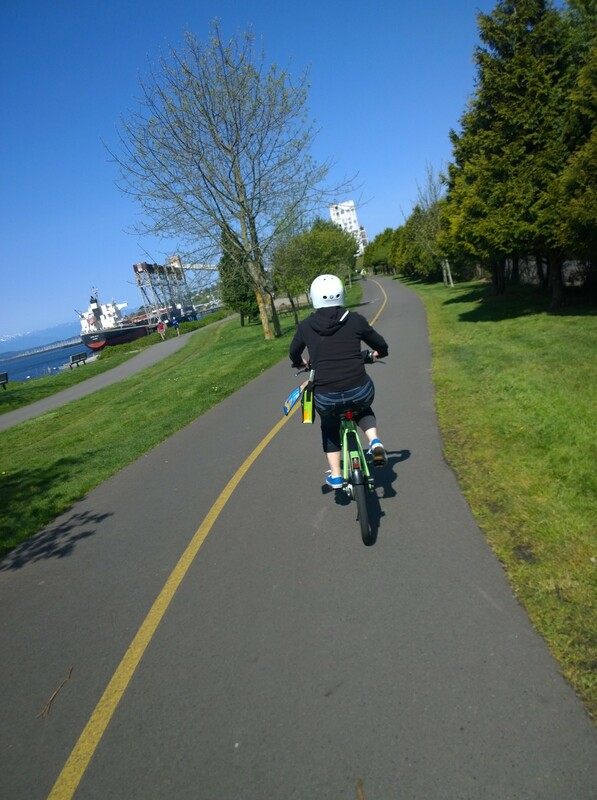 We took off from near Sculpture Park and headed north to have a biking adventure. Now, all those Lycra-wearing cycle-racing-wannabes were lapping us and even, really, small children were too but we had a great time. Pedaling at our own pace, we stopped to gaze at the water and meandered through the rail yards at the far end of our journey. It was all just lovely and a wonderful way to experience the lovely Seattle waterfront. Now, even small elevations were challenging so I am not about to pedal around hilly Seattle but, at least for the flat waterfront path, I’m all in to do this again on a beautiful day.